Good growing conditions for onions can be found in warm soils that are humus- and nutrient-rich. 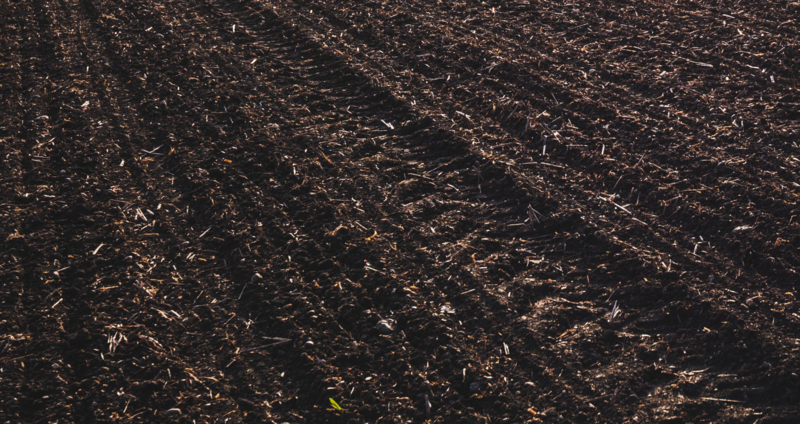 Cold and wet locations and soils with a high clay or stone content make cultivation and harvesting difficult. Onions are well suited to sandy soils, lighter loess, and gravel soils. Since onions only have a limited root system, the nutrient and water reserves of the soil can only be used to a limited extent. Therefore, appropriate fertilization and a sufficient amount of precipitation is important. Ensure sufficient phosphorus supply at the beginning. Combine potassium fertilisation with every N-application! Onions are grown in several ways and for different uses. A main distinction is made between seed onion and onion set for cultivation, and also between store and bunching onion production. They are grown at a density of 80-100 plants per m². Many different varieties or types for different cultivation times, cultivation methods and uses are available. Seed onions are challenging due to their extremely long germination and juvenile phase, in which the plants are sensitive and easily out-competed. This is avoided by setting the onions, but the suitability for storage suffers and the cost of sets are higher. Too high quantities of nitrogen can increase the susceptibility to diseases. Dry storage and a low fungal infection pressure during harvesting are optimal for a good shelf life. Drying costs can be reduced if post-harvest ripening (curing) in the field is possible for several days before collection. Onions need an optimal nitrogen fertilization and a good supply of potash. Sulphur is also important. Phosphorus does not only play a role during growth, it accelerates sensitive youth development at the beginning and has a positive influence on root development. Especially on dry sites, onions need enough potassium to control the water balance. Potassium plays a decisive role in improving shelf life. Chloride-free potash fertilizers based on sulphate of potash can cover the sulphur requirement of approx. 25-30kg/ha (62.5-75kg SO3). Calcium and magnesium improve the plant health and together with potassium the shelf life of onions. The table shows the uptake and removal per tonne of onion yield. According to this, onions need mainly nitrogen and potash. Phosphorus, sulphur, magnesium and calcium must also be present in appropriate quantities. For example, an onion yield of 50t/ha takes up 175kg N/ha. If 25kg N/ha is supplied by the soil, then 150kg N/ha would need to be fertilized. Via the harvest, 90kg N/ha would be removed from the field. Phosphorus at the beginning of growth improves juvenile development and root formation. Potassium is important for water absorption, as well as for good shell health and shelf life. Onions are a chloride-sensitive crop; chloride-free potassium fertilizers must be used in spring applications. Good K- and P-supplied soils (from supply level C) can do without P- and K-amounts at the level of withdrawal. No additional yield is to be expected with higher P- and K-supply. The nitrogen fertilizer must be split into several applications. The biggest need is during the bulb formation phase, therefore an overabundance of nutrients in the long and sensitive juvenile phase is not beneficial and is associated with high losses. Focus is on phosphorus fertilization is at the beginning, while potash fertilizer is used in each application. Magnesium and calcium contribute to a good soil structure and is applied as lime before onion sowing (1500kg CaO/ha as a guideline). The yield formation depends on an optimal distribution of approximately 80-90 plants per m² and a strong and healthy bulb. This requires approximately 175kg N/ha. Appropriate quantities of potassium, calcium, magnesium, and sulphur (see extraction table) must be provided for storable onions with a healthy, strong colour and a typical spiciness. 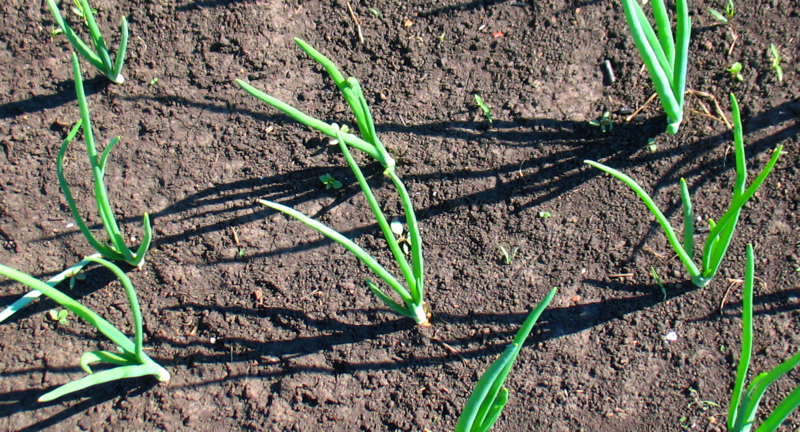 Onions have a poor root system, therefore a direct supply of nutrients and water in regular applications is necessary. However, fertilizing with nitrogen too late can lead to increased throat formation. Onions only need some of the nitrogen at the beginning of development. Therefore, a maximum of one third of the total N fertilizer requirement (approx. 50-60 kg N/ha) is sufficient for onions grown from seed. Due to the high phosphate and potash requirements, chloride-free, potassium-emphasized COMPLEX fertilizers are the best choice for the first application. The second third of the N requirement is applied at the three to four leaf stage. This should be combined with potassium sulphate or again in the form of a chloride-free NPK fertilizer. The last third of the N requirement is applied four weeks after the second application. This ensures a constant supply for onion formation. Potassium is again important to ensure an optimal ripening. Sulphur increases the shell strength and thus the resistance against diseases; the first two NPK applications cover the sulphur supply. 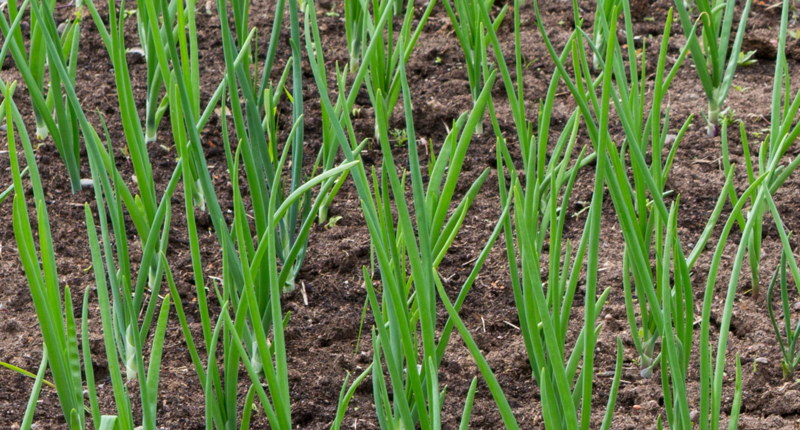 A pungent and good storing onion is the result of the right fertilization strategy.